CEFT is an OECD GLP certified preclinical research organisation (GLP/C-062/2014), functions as an independent unit of Sri Ramachandra Institute of Higher Education and Research (Deemed to be University), Chennai. It is a CPCSEA, GoI, registered (189/PO/ReBi/S//2000/ CPCSEA) small animal research facility. CEFT brings together the toxicological and multidisciplinary pharmacological investigations of chemicals / drugs and also alternative to animal models so as to create skilled manpower through world-class education and training and to be involved in public-private partnerships and sponsor supportive programs. To integrate bench to bedside translation research through exchange of experiences to benefit the society at large. Conduct non-clinical health and safety studies to facilitate risk assessment. 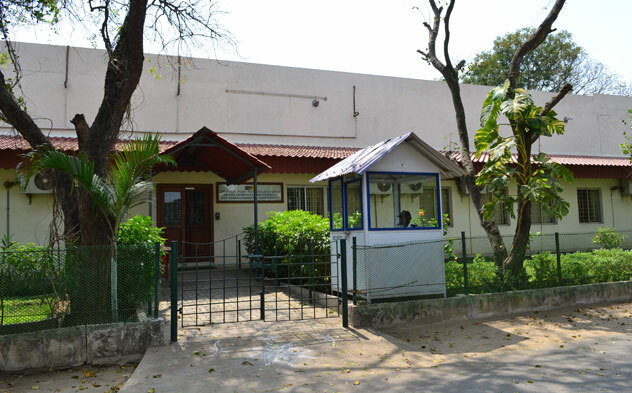 CEFT is located within the campus of the Sri Ramachandra Medical Centre, Chennai. This gives a unique opportunity to share and collaborate with world renowned experts in specific areas of Bio-medical and clinical research cutting edge technologies of a tertiary medical care hospital system with experienced professors, and leading medical scientists. CEFT can propose an endless variety of disease models and preclinical services. CEFT offer transparent and cost-effective hassle-free services in IND enabling, Toxicology, genetic toxicology, Pharmacology, and other regulatory testing requirements. 'Academically proficient' team of scientists includes PhDs, MVSc., M.Pharms, and life-sciences postgraduates/graduates who are experienced and trained in handling of pharmaceutical and biopharmaceutical, agrochemical, specialty chemical, medical devices, biosimilars, cosmetic and veterinary products. All studies conducted are in accordance with the regulatory requirements and guidance documents of the EMA, US FDA, ICH, OECD, and Schedule Y / RCGM etc. CEFT has CPCSEA approval for Breeding and experimentation on small animals. Animal experiments are conducted in accordance with CPCSEA, GoI which are governed by Institutional Animal Ethic Committees (IAEC) of SRU. Qualified veterinarians ensures the compliance of Animal Welfare policies.